Make some sweets for your sweetie this Valentine's Day. This French dessert is filled with a silky rose pastry cream and surrounded by delicate lady fingers. 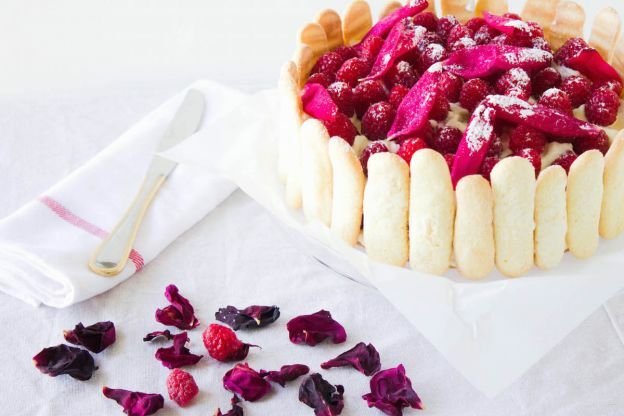 With a sprinkle of raspberries across the top, this is one dessert that definitely says "romance." Here's the recipe.